Not only is tomorrow the winter solstice, but it is also considered (by many) to be the beginning of a new age on the astrological wheel. Approximately every 2,160 years (i.e. 1/12th of 25,920 years), the Precession of the Equinoxes appears to rotate (backward, or retrograde) the spring equinox from one constellation to another. Now, whether you believe in astrology or not, there is something to be said for the study of the planets and stars predating most scientific and religious theories, laws and belief systems. We have been living in the age of the constellation of Pisces which is represented by two (2) fish. If our historical time lines are correct, Jesus Christ was born at the beginning of the age of Pisces, and fish play a pivotal role throughout the New Testament. One of my favorites is the story of “feeding the multitudes. Interestingly enough, the four canonical Gospels (Matthew, Mark, Luke and John) all share the same story of Christ feeding 5,000 hungry souls with only 5 small loaves of bread and 2 fish. 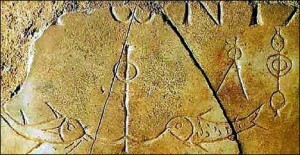 Two fish and anchor in the catacomb of Domitilla in Rome. Christ was also known as helping others (namely Simon Peter) to become “fishers of men” (though Jesus is said to have been a carpenter by inherited trade). Fish were also used as a symbol for Christians to find other Christians. The top part of the fish would be drawn, and if the other person was a believer, he would indicate this by completing the picture of a fish. Further, I do find it interesting to understand the personality characteristics of the sign of Pisces (please see if you can correlate this to the age we’re moving out of). The search for kindness and a gullibility is associated with the sign of the fish. There is deep-rooted emotion that can often overpower a Pisces’ mental understanding of reason and logic. Pisces is both highly creative and impatient for results. 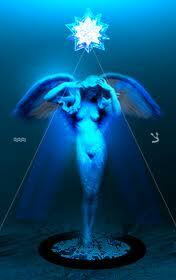 Pisces want to “feel”; thus, there is a lot of emotion (both good and bad) surrounding the personality of the sign. Like all water signs, they can be temperamental and over-emotional. At the same time, they can be the wisest of counselors if they will take the time to talk things through. The Moon hides things in the shadows that can lead us astray, or it could cause bewilderment and fear. This card is often representative of depression or moodiness, and it is often indicative of hormonal changes in women such as p.m.s or menopause. While I don’t necessarily see humanity as being cloaked in a freaky menopausal state of insanity for the past 2,160 years, she has been a bit on the emotional and moody side. The symbolism of the current astrological age, coinciding with the birth of a popular religious deity, could be more than coincidence. Then again, maybe not. But what about the Mayans? 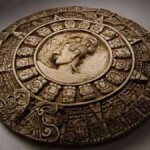 The Mayan long count calendar, that supposedly ends on the date of December 21, 2012 on the Julian calendar, has been debunked as an “end times prophecy” for quite some time. I guess we’re all selective in our beliefs, but I tend to believe those things steeped in logic, reason and empirical fact (with a smidgen of faith thrown in for good measure). The Maya were, just like us, very interested in the passage of time, using three different calendars to better understand those units in the past, present and future sense. 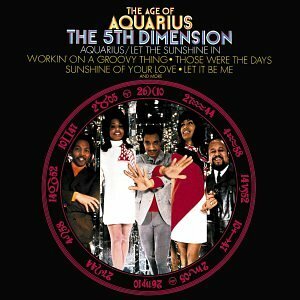 The Age of Aquarius isn’t just a groovy album by The 5th Dimension! So what is the Age of Aquarius? As we began to wind down the age of Pisces, we witnessed the industrial revolution. In individual astrology, you will always have a few days “overlap” when moving from one sign to another. That’s why those born on the cusp of two signs will most often exhibit characteristics of both signs; though their sun sign is specific to one based on exact date, time, place of birth. 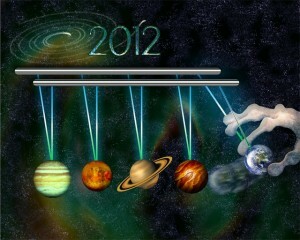 The same concept can be found within the astrological ages. It would only be natural (in the astrological sense) that there would be a period of say one or two hundred years of “overlap” where traits from Aquarius begin to show up just as traits of Pisces begin to wain. This will also be seen moving forward. The energy of Pisces will still be felt beyond our lifetimes. Aquarius is the sign that sits just behind (or rather in front of) Pisces. The symbol of Aquarius is “the water bearer”, and (this is what I find VERY interesting) the personality traits of the sign are things like friendly, logical, humanitarian, original, independent, intellectual, serious-minded and sometimes even a bit of the ether (as in, not totally connected to the earth). Aquarians often go through periods where they need to be alone for things like meditation and learning, and while they may desire to help humanity, they may not necessarily make friends easily. Aquarius is often associated with innovation and technology (thus that “overlap” of the industrial revolution). Aquarians, unlike their Pisces brethen, will often choose the intellect over emotion. Maybe this means we will move into a period where we will begin doing what we KNOW is good for us instead of doing only that which makes us FEEL good? Alas, you get another lesson in the Tarot. 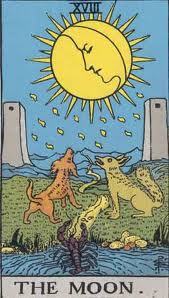 In the deck, Aquarius is ruled by “The Star” (number 17 in the major arcana). The Star is hope, faith and belief that everything will be just fine in the end. I find it most apt that we are moving from an age associated with anxiety and fear to an age of faith and understanding. The Star indicates that you’re on the right path. You may finally see the “light at the end of the tunnel”. Your new plans will have positive repercussions well into the future. The Star gives you the belief that everything will be all right. 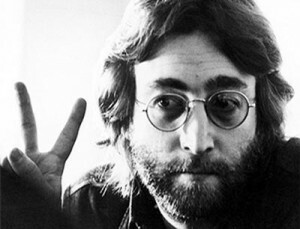 Quick cool fact: Yoko Ono, John Lennon’s great love, was born under the sign of Aquarius. Collectively, we could truly come to relive the mythical “paradise on Earth” if only we could all imagine it at once. Maybe the Age of Aquarius can teach us that. We’ve made it through the dawn of the Age of Aquarius (and the awesome song from “Hair”), and now it’s time to really live it. Finally, I would like to note that change is never easy. Transition is always difficult as we must leave certain things behind to make room for the new. A new-found faith that things will be all right may be exactly what we (as a species and inhabitant of this planet) need as we all share the vision of better people and places. 12/21/12, 2012, age of aquarius, age of pisces, apocalypse myth, astrology, December 21, end days, feeding the multitudes, fish, fisher of men, imagine, Jesus Christ, john lennon, julian calendar, mayan calendar, moon, star, tarot, two fish. Bookmark.